Toyota Auris Performance, Engine, Ride, Handling | What Car? Our favourite engine is the 1.2-litre turbocharged petrol. 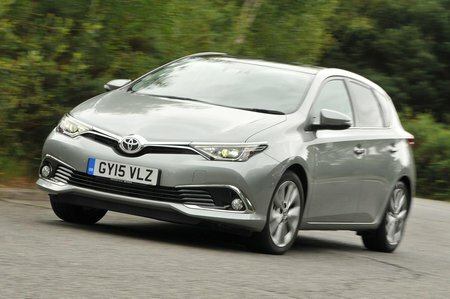 With it fitted, the Auris feels just as quick as most similarly engined rivals, and will outpace a Ford Focus 1.0 125 Ecoboost. 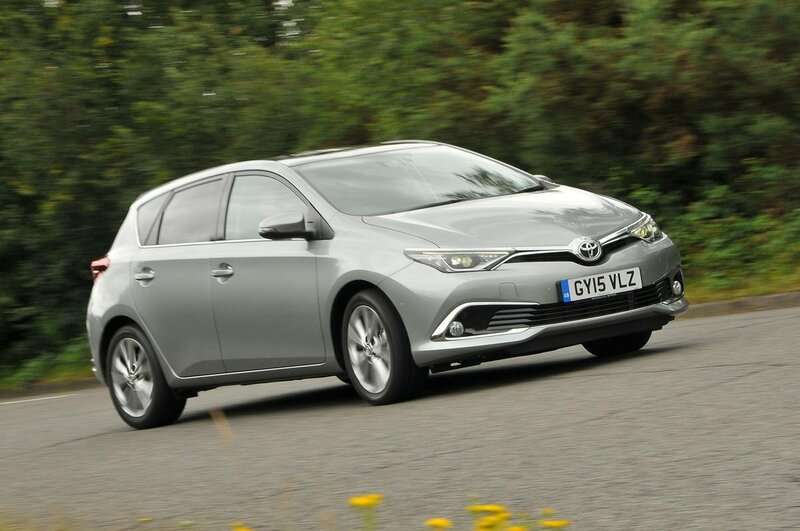 There’s sufficient low-rev shove to make the Auris easy to drive in town, and it’s still gusty enough to allow you to keep up with traffic on the motorway. It comes with a reasonably slick six-speed manual gearbox or a CVT automatic transmission. The 1.6-litre diesel engine is a little lacklustre by comparison. Although it’s not far behind the 1.2-litre petrol in absolute pace, it isn’t particularly gutsy, so you’ll often have to change down a gear or two at higher speeds if you want decent acceleration. At least it pulls smoothly from low revs. 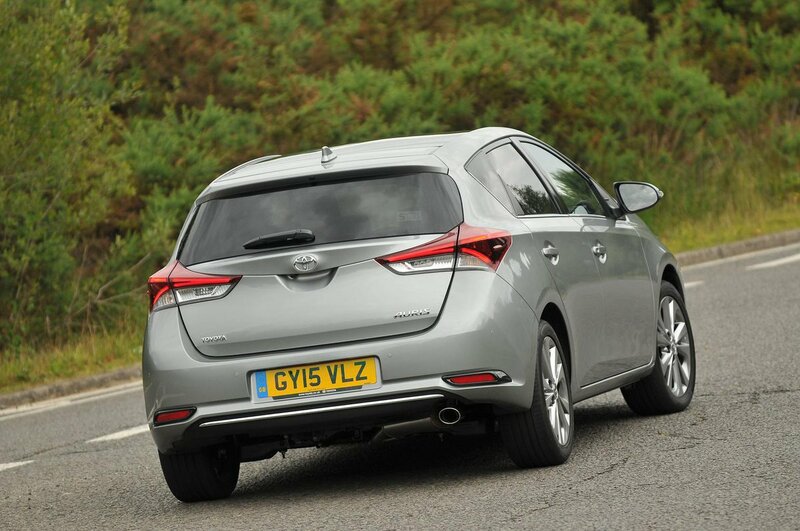 If you spend most of your time in town, then you’ll find the hybrid is zippy enough. The added boost from its electric motor means it’s reasonably quick off the line, too. The faster you go, however, the less effective its performance becomes, so accelerating or overtaking on A-roads and motorways isn’t its strong point. That said, the hybrid Auris will cruise quite happily once up to speed. Both the 1.3-litre petrol and 1.4-litre diesel are pedestrian performers, so aren’t really worth considering unless your budget won’t stretch to a more powerful engine. In the main the Auris rides pretty well. Around town it smoothes away most surface imperfections, and it is comfortable enough on country roads and motorways. It’s only when you hit a particularly sharp ridge or deep pothole that you’ll feel a shudder through the cabin, which is more pronounced on models with larger wheels. The car’s rear end also becomes a little bouncy over a series of crests, and the body never really settles on uneven surfaces. A VW Golf, in comparison, stays better composed and is more comfortable. One thing to be aware of is that the 1.3-litre petrol and 1.4-litre diesel models use a more basic suspension set-up that other versions, and the ride quality suffers as a result. 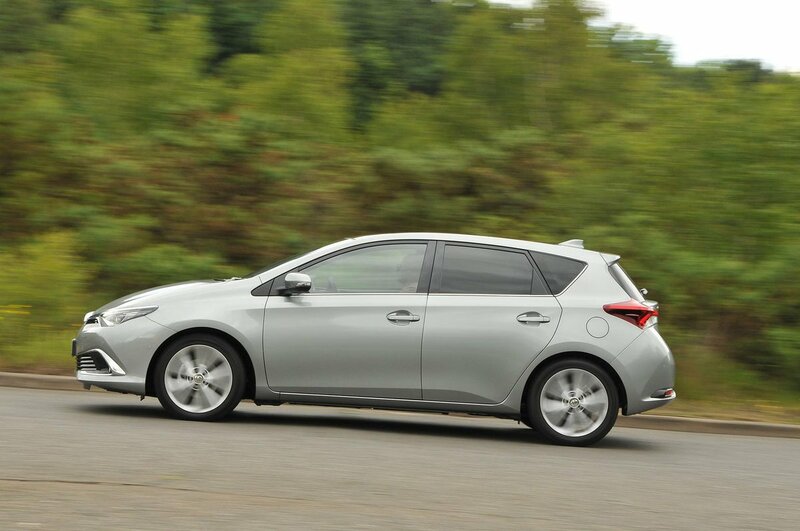 If all you want is something safe and competent, then the Auris is up to the job; it offers sensible levels of grip and reasonably predictable handling. You do get quite a lot of body lean through corners, and the suspension struggles to cope if you hit a bump mid-bend, which causes the body to move about even more. Ultimately, the whole experience is fine but rather uninvolving, so if you fancy being more entertained from behind the wheel, choose a Ford Focus instead. As with ride quality, we’d steer clear of the 1.3-litre petrol and 1.4-litre diesel versions because their more rudimentary suspension arrangement makes them less accomplished to drive. 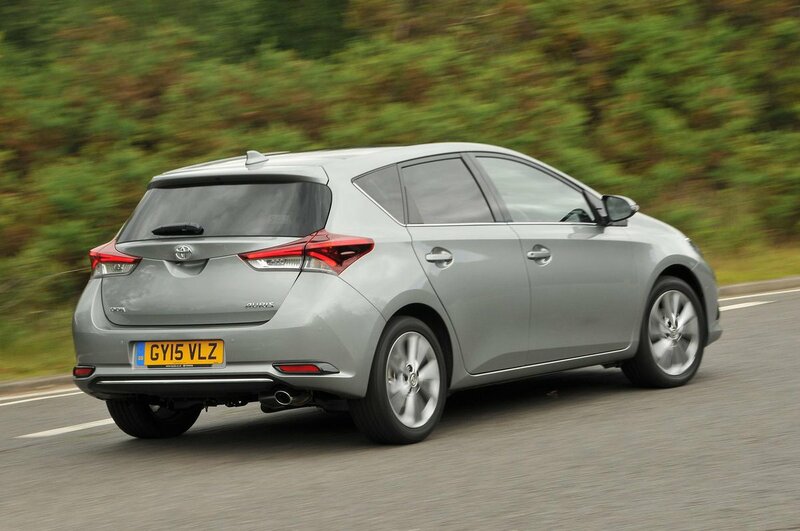 For the best refinement in the Auris range you need to buy the 1.2-litre petrol engine. Although you are aware of its presence, especially at higher revs, the majority of the time it stays smooth and quiet enough not to offend your ears. This isn’t the case with the 1.6-litre diesel. Bearing in mind that you need to rev this engine to get it to perform, it starts to sound rather boomy past 3000rpm and transmits a fair amount of vibration through the steering wheel and pedals. The hybrid model is all but silent around town, where it can make the most use of its electric motor. Even when the petrol engine kicks in to help out it stays pretty quiet, as long as you keep the revs low. Try to overtake or climb a hill, however, and the CVT automatic gearbox sends the engine spinning up to high revs, shattering the peace and causing the pedals and steering wheel to buzz in the process. On all models there’s some road noise over coarse surfaces, and you’ll also notice wind noise from around the windscreen on the motorway.